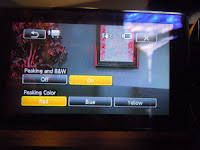 The LCD screens on the Canon HFS series of cameras are touch screen activated. To access all the options you touch the "FUNC." to bring up the list of functions. To scroll through the options you swipe your finger up and down or left and right across the screen to scroll menus, to browse through index screen pages or to adjust slider controls (ex. volume). * The screen will also not work if you apply a screen protector on top of the touch screen. To access the "Photo" mode you touch the Camera Icon at the bottom right corner of the screen. This will then take you into the Photo capturing mode. To return to video mode you touch the Video icon in the bottom right corner of the screen. 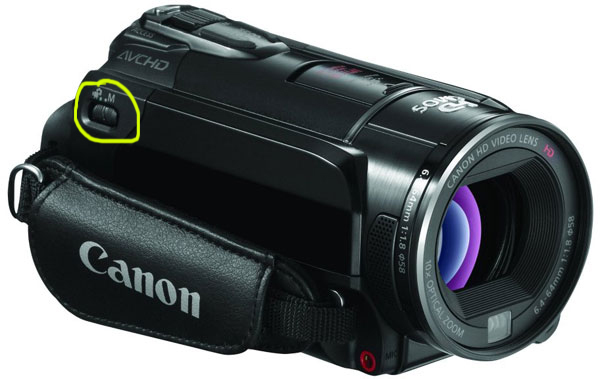 Each of the Canon HFS series camcorders have 2 SD card slots (located on the left side of the camera once the LCD screen is out). The Canon HFS 20 and the Canon HFS 21 have internal memory as well as the 2 SD card slots. The memory cards that are recommended for these cameras are Class 6 SDHC memory cards. When inserting and removing SD Cards make sure that the camcorder is turned OFF. To open the SD card slot you simply slide the cover to the right. When inserting the SD cards make sure that the label is facing the front of the camcorder. Push the memory card once to release it. To set up where your want your media to be recorded to you access the "FUNC" > "MENU" > 2nd tab (looks like a film reel with a box behind it) > either "Rec Media for Movies" of "Rec Media for Photos" You now have the option to set where you want your Video or Photos to be recorded. Slot "A" or "B". If you have the Canon HFS 20 or the HFS 21 you have the option of storing your media on the internal memory as well. If you are using your video camera to take both video and pictures, I would recommend setting your Videos to record to SD card slot "A" and then under the photo mode to set your photos to record to slot "B". This is an easy way to access your different files. To set where you want your Photos to be stored you follow this same step but in the "Photo" mode. The Canon HFS series of cameras have what is called "Relay Recording". You can activate the relay recording so that if the memory you are using becomes full while recording movies, the recording will continue uninterrupted on a memory card. To set this feature up you follow the steps above and just touch the "Relay Recording" button so that it is highlighted. The Canon HFS series of camcorders has a standby function that you enter by closing the LCD Screen. The camera will then use 1/3 the power it uses while recording. 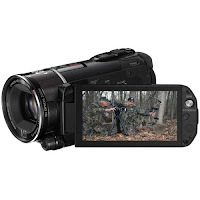 Additionally, when you open the LCD panel or pull out the viewfinder(HFS21 only) the camcorder is ready to start recording in approximately 1 second, allowing you to record your hunt right away! When you are in recording mode, close the LCD screen and the green indicator light will turn to orange to indicate that you are in standby mode. There are 3 different ways that you can zoom in and out: using the zoom lever on the camcorder, using a remote control, and using the touch screen. The Canon HFS series of camcorders include a 10x optical zoom. It also includes a 200x digital zoom. I would never used the digital zoom because it will cause your image to appear pixilated(dots). Zooming on the Camcorder or a remote: using the zoom lever you can zoom out by moving the lever to the left and zoom in moving the lever to the right. To zoom in fast or zoom out fast press firmly on the left or right side. To zoom in or out slower press lightly on the left or right side. 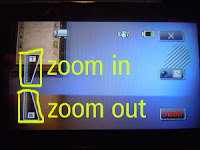 Zooming on the Touch Screen: to access the zoom function on the touch screen your touch "FUNC" > "Zoom" then the "Zoom T and Zoom W" appear on the screen. You touch anywhere in the "T" zone to zoom in and anywhere in the "W" zone to zoom out. Manual mode is important to use when out in the field because the camera will want to focus on what is in the front of the lens, therefore if you have tree branches in front of the deer the camera will want to focus on the limbs instead of the deer. To enter Manual Mode (M) you set the "Mode Switch" to "M"
The HFS series camcorders offers 5 recording modes. Changing the recording mores will change the recording time available on the memory cards. Select "MXP" or "FXP" for better movie quality; select "LP" for long recording times. "MXP" and "FXP" will record in 1920 x 1080. "MXP" records 24mbps and "FXP" records 17mbps. The difference is that the "MXP" higher bitrate means not as lossy, and generally better quality. The default Recording Mode Setting is "SP"
To select your video quality touch "FUNC" > "MENU" > "Recording Mode" > "Desired Recording Mode"
The image stabilizer reduces camcorder blur (do to movement of the camcorder) so you can get nice, stable shots. There are three different modes to choose depending on the shooting conditions. Standard (Hand shake symbol) (Hand shake symbol with ON) - Compensates for a lower degree of camcorder shake, such as when shooting while remaining stationary, and is suitable for shooting natural-looking scenes. Use this setting when recording movies with the optional Wide-conver or Tele-converter lenses. When shooting video, you can used the Powered IS button (located on the bottom left side off the LCD viewfinder) to make the image stabilization even more powerful. 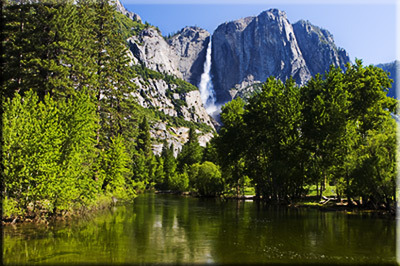 Powered IS is most effective when you are stationary and zooming in on far subjects using high zoom ratios. Holding the LCD panel with your left hand will add to the stability of the shot. To activate the Powered IS you press and hold the Powered IS button as long as you want it activated. The hand shake symbol with a P will show up yellow on the LCD screen to let you know that it is activated. The Canon HFS series models have a function that is called "Pre-Recording," which allows the camera to record 3 seconds before you actually press the record button. What this does is records 3 seconds of clips in a loop until you press the record button. This is a great feature to use when you don't want to miss recording opportunities and is especially useful in hunting situations when it is difficult to predict when you need to start recording. This feature will be deactivated if you leave the camera without any action for 5 min. or more or when you are in or coming out of standby mode. When recording people, face detection will track the main subject and adjust the optimal settings. 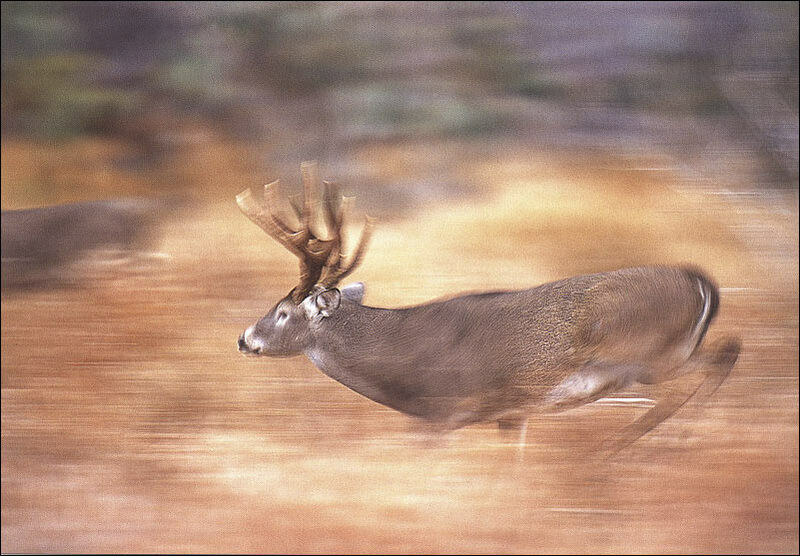 But, also when recording other moving subjects such as deer or any other animal, you can use Touch and Track to keep your subject in focus and achieve the best results. To use this feature you must have the "Face Detection" set to on. To do this you touch the "FUNC" > "MENU" > "FACE DETECTION" > "ON". 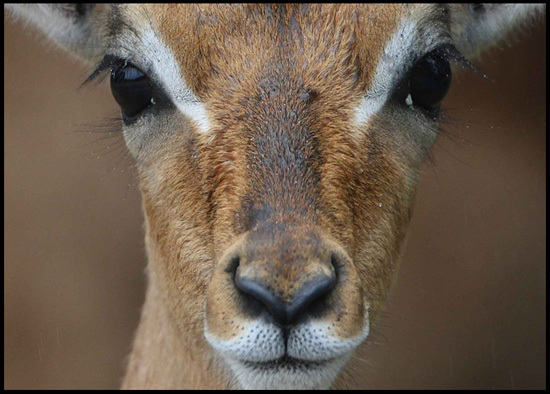 To track an animal or another moving object you will then touch the screen where that object is located and it will put a white double frame box around that object and it will track it and keep it in focus while it is on the screen. You can cancel this track by pressing the cancel button. This is a great feature to use when you want to keep your animal in focus, especially while in the woods where the tree branches could get in your way. 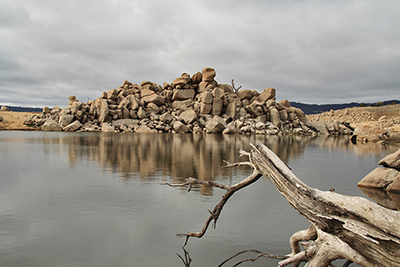 Peaking can help you achieve correct focus when focusing manually. While peaking is activated, the outlines of subjects that are properly in focus are emphasized and shown in color. You can use the black and white setting to create an even stronger contrast, making it even easier to verify if the subject is in focus. 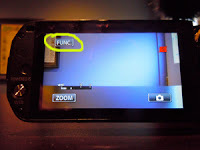 To access the Peaking Function touch "FUNC" > "FOCUS" > "PEAK" - this will show color peaking on your LCD screen. To change the LCD screen to black & white mode you click on the "Wrench symbol" and you can turn "Black & White" on and then change the peaking colors to "Red", "Blue", or "Yellow"
AV APerture-Pri. AE - Set the aperture value. The camcorder automatically sets the appropriate aperture value. 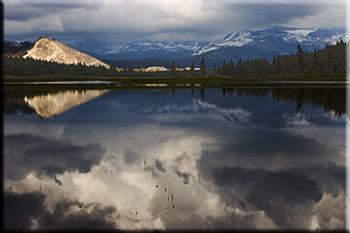 • With a faster shutter speed you can "freeze the action" for powerful images or moving subjects. 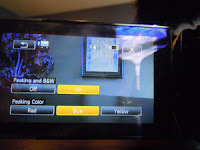 To adjust the shutter speed you use the TV Shutter-Pri. AE under the "REC Programs"
• With small aperture values only the subject is in focus and the background is softly blurred. Great for portraits or to isolate a single object. To adjust the Aperture you use the "AV APerture-Pri. AE" under the "REC Programs"
The zebra highlighted patterns will show up on the LCD screen and will not be recorded. To show these zebra patterns you touch "FUNC" > "EXPOSURE" > wrench symbol > then choose "70%" or "100%"
After you have your zebra patterns on your LCD screen, you can choose to manually fix the exposure if the zebra patterns are on your subject. Your subjects can appear too dark (underexposed) or too bright or glaring (overexposed). To adjust the exposure manually, I recommend first setting the zebra patterns at 70% or 100%, so that you have a visual of the overexposed places in your shot. Once your have set your zebra pattern you can adjust the exposure on that screen by touching anything in the +/- frame. The white X symbol will flash and the exposure will be adjusted automatically. You can also adjust the exposure manually by touching the "M" button and use the manual adjustment dial. To return to automatic exposure you simply touch the "M" button again. When recording around sunrise and sunset or other dark situations, the camcorder will automatically increase the gain to try to get a brighter picture. However, using higher gain values may result in more noticeable video noise (image looks pixilated or dotty). You can select the AGC limit to curb the amount of noise by setting the maximum gain value to be used. The smaller the AGC limit, the picture will be darker but will have less the noise. The standard for Broadcast Standards is not to exceed 12db of gain. The White Balance function helps you to accurately reproduce colors under different lighting conditions so that white objects will always look truly white in your recordings. The best way to set up white balance is to use a White Card, a piece of white paper or anything that is solid white. To set the custom white balance ("Custom WB") you point the camcorder at the white object, so that it fills the whole screen, and touch "Set WB"
A good scene to use "Daylight"
Auto WB(right) can't correct fluorescent illumination. That is what the Fluorescent does (left). *Notice the white sheet in the left and how it is yellow in the right. Tungsten - To record under tungsten and tungsten-type fluorescent lighting. Custom WB- Use the custom white balance setting to make white subjects appear white under colored lighting. • When using custom WB - reset the white balance when you change locations or the light source or other conditions change. For best results, rely on the Custom WB. A good way to set this up is when you first get to your hunting location to set the white balance right then and there and it will stay the same if you go into standby or power off. • Touch "A Automatic" to return the camcorder to automatic recording levels. • Touch the "X" to lock the audio recording level at the current level. I recommend using headphones to check the sound level. You can do this while in Manual or Auto mode. It is recommended to use during manual mode while you are adjusting the audio recording level. The headphone jack (located behind the LCD on the camera) is used both as a headphone jack and a AV OUT jack. To be able to use the headphones you must activate that port for headphones. Item Reviewed: Basic Operations of the Canon HFS (200,20 &21) Camcorder 9 out of 10 based on 10 ratings. 9 user reviews.